Almost as much as I love to cook I love to go out and have really good, high quality food. That is why I have decided to share my experiences while traveling. 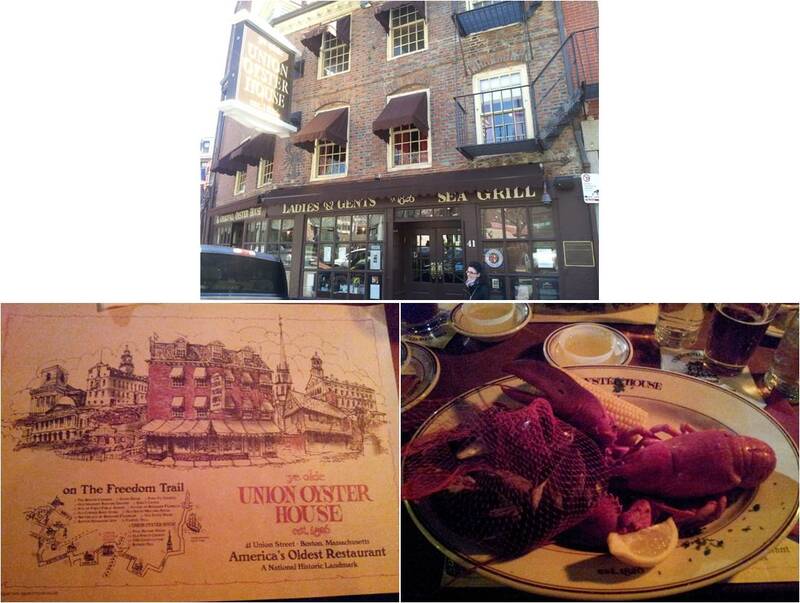 This fabulous seafood specialized restaurant is the oldest existing restaurant in the USA (since 1826). It is a beautiful, historic, cozy dark brick building made of dark wood inside. I had the Shore Diner and a home brewed dark beer. It was a huge, traditional Bostanian and fabulous set menu. Main dish: A whole STEAMED LOBSTER and STEAMED MUSSELS served with seared butter. I just love the cracking and working to get to the tender flesh. Price: market price (including beer I paid $58/€42), no worries this was the absolutely most expensive on the card but it could have served two! !